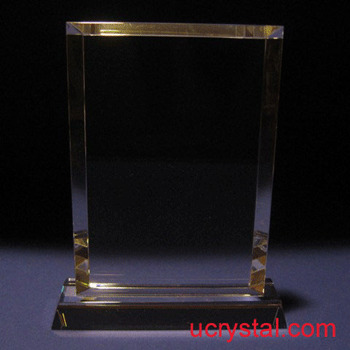 4-3/4" x 7-3/8" x 3/4"
This laser crystal is rectangular in shape and sits on an attached crystal base, which is inseparable from the main piece. 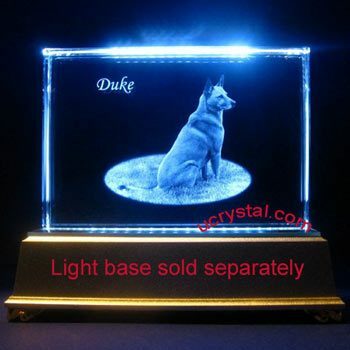 Because it is only 3 quarters of an inch thick, we do not recommend 3D personalized laser crystal photo engraving for this particular crystal. 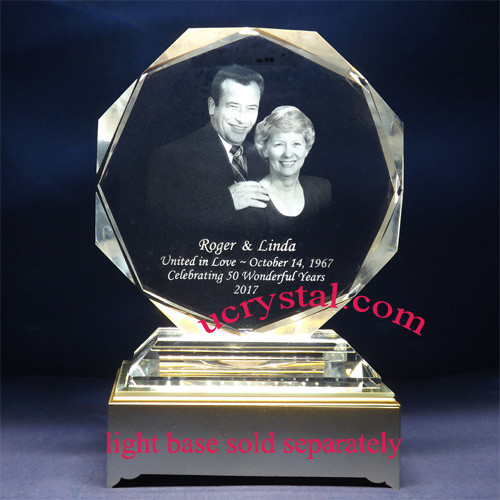 It is more suitable for 2D custom photo engraving as a corporate crystal award or plaque for occasions such as employee appreciation, employee of the year award, or most patent award, for example. 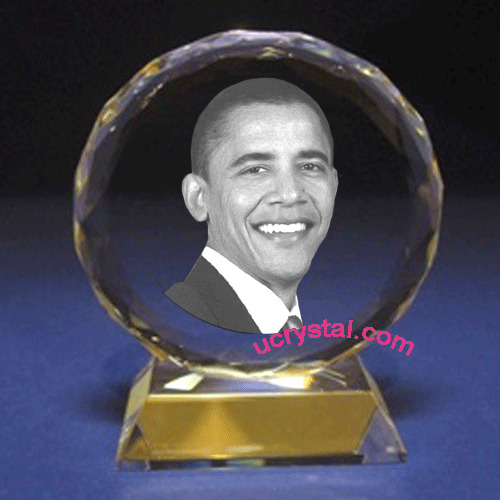 It is also a good choice as a retirement gift or a go-away souvenir. 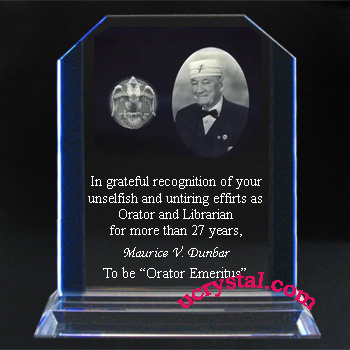 The rectangular shape exemplifies the sincerity and genuineness of the occasion. 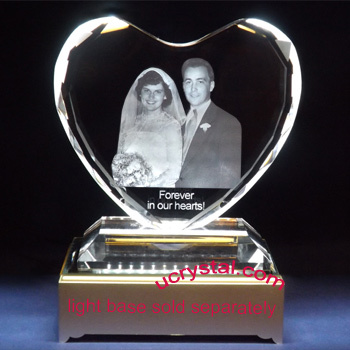 The laser crystal piece can be personalized with your own design with your corporate logo, group photo, or farewell message. 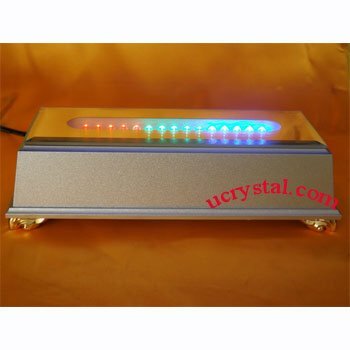 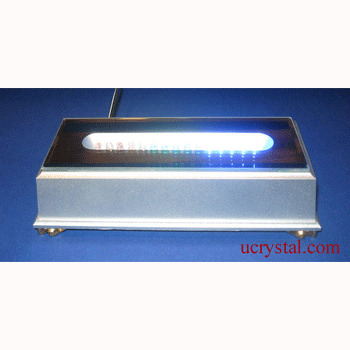 You can also choose a suitable LED light base to enhance the engraved results among the many choices of LED crystal light bases that we have here at Ucrystal. 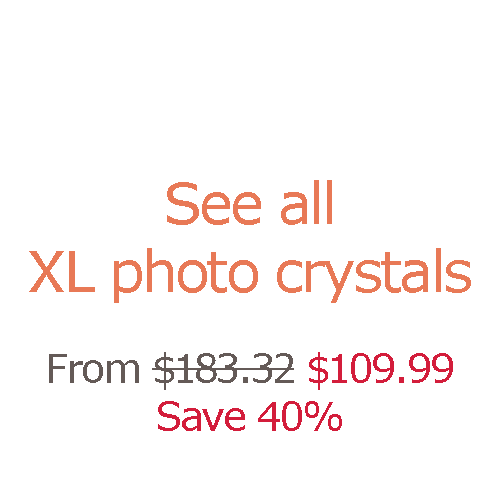 Extra large, Rectangular, bevel edge with base. 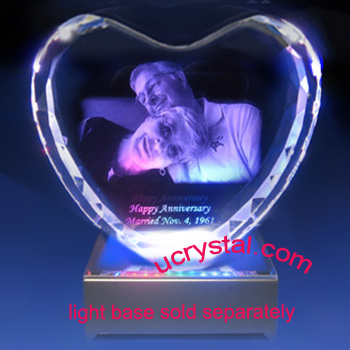 Size: 4-3/4" width x 7-3/8" height x 3/4" thickness (height includes base).